In this amazing story of young Melody, who was born with with Cerebral Palsey (CP), must face the hardships of mean girls and people who underestimate her abilities. You will always be found caught in Melody’s mind. 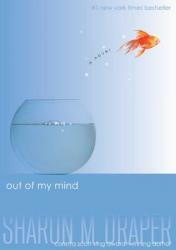 Defiantly a must read. This poetic form of literature was but another outstanding work by the Newbery Medal award winner for his well known book: "The Crossover", Kwame Alexander. This book is a sensational work from what I think is one of the greatest masters of the art of literature. 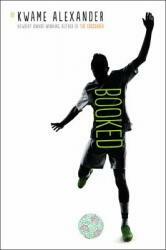 His book... uh... "Booked" is one of the greatest pieces of literature that I've read in my life as a teenager. This BOOK (get it?) 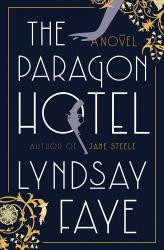 has a great mix of drama, moral dilemma, and romance (well, more or less). 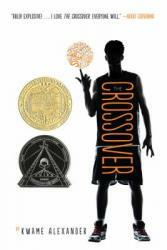 This follow up from Kwame Alexander's Newbery Award winning book, "Crossover" was a sensational masterpiece! This New York Times Bestseller has struck me with its drama, moral dilemma, and when the story got all casually on me, it "Rebounded" with sadness and passion. 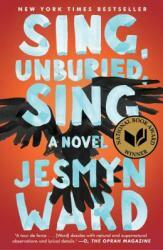 This phenomenon of a book has great detail and a mix of drama, sadness, and love. 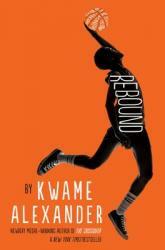 Kwame Alexander has really proven his expertise in his book "Crossover." This book is a great source of human literature for all ages. 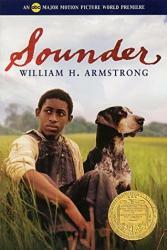 This book was "Cross" of drama, brotherly love, and loss. The recipe for a great book. Jo Jo and his mother Leonie have been living on a farm in rural Missisippi for their entire lives. Jo Jo's father, Michael, has been in jail for drug related crimes, and thus most of Jo Jo and his sister Kayla's upbringing has been done by their grandparents: the gruff but ultimately loving Pop and the cancer-ridden matriarch, Mam. Everyone's world is about to be upended, though, as time grows near for Michael to get out of prison. Writing any sort of synopsis for this book was particularly challenging, as there's not much in the way of plot. I don't mean that in a bad way. 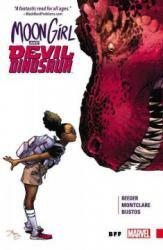 I sometimes love books that focus solely character development, and that is absolutely what this is. The writing is insanely gorgeous and it's obvious from the gruesome beginning scene as to why this won the National Book Award. Ward manages to make almost all of the characters relatable or lovable even as they do and say and think terrible things. She absolutely captures some of the wonderfully horrible aspects of the human condition, and here is a lot to love in this book. That being said, I did not much care for certain aspects of the audiobook. First, by the time I got the book, I had forgotten what it was actually about. I did not remember that ghosts were a part of the story and was really confused for the first part of the book (are these flashbacks? how is that character here? I thought he was dead? ), but I eventually figured it out. For me, the ghosts detracted from the story and I could have done without that element, even though magical realism is often my jam. The biggest problem for me, however, was Rutina Wesley's performance (which, hilariously enough, is why I went for this in audiobook format - I liked her in the few seasons I watched of True Blood). It was over enunciated especially given that Leonie is from Mississippi, and I found her parts to be melodramatic as there were a lot of weird pauses and words said breathlessly. It just didn't work for me, and I wanted to skip all of Leonie's parts. If you would like to read a gorgeously written character study/family drama with a compelling setting, then this is a great bet. Just read it, don't listen to it. 3 stars. 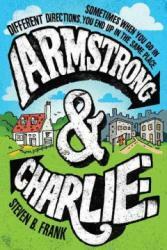 Beyond the obvious racial undertones to this book, Armstrong and Charlie is a fantastic book about growing up. Aimed at kids on the cusp of growing into adults, the book masterfully represents moments of peer pressure where the characters have to decide what the correct response should be. Not only does it have valuable lessons about lying, stealing, bullying, and grieving, but it includes a few moments of romance as well. As boys progress into their teenage years, these moments are sweet, but also emphasize the whirlwind of emotions and hormones about to befall all kids of that age. The best part of Armstrong and Charlie is how the narrative splits between the two, titular boys. With the reader knowing the background of each individual, the reasons behind the biases and social friction come to light well before the boys realize that people are deeper than they appear on the surface. Somebody might be poor and act out in spite of it. Others might have family or personal problems that they’re hiding via and underneath a mask of toughness. Once we finally get to know someone, we find they’re not nearly as different as we once thought. 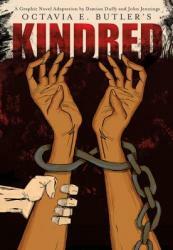 A fantastic book about 1970’s race relations that everyone should read, I give Armstrong and Charlie 5.0 stars out of 5.